After the December holiday fairs it was great getting into the studio and just making something. 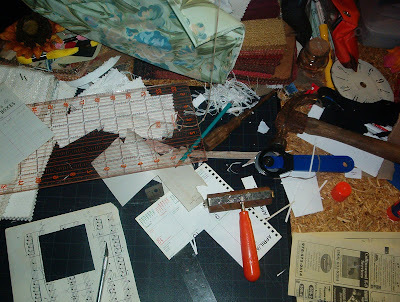 Here is a shot of my table where I am working on collage with paper and fabric. Next will be a clean up of the space for a fresh start in 2008. Tune in next week for another Workspace Wednesday!